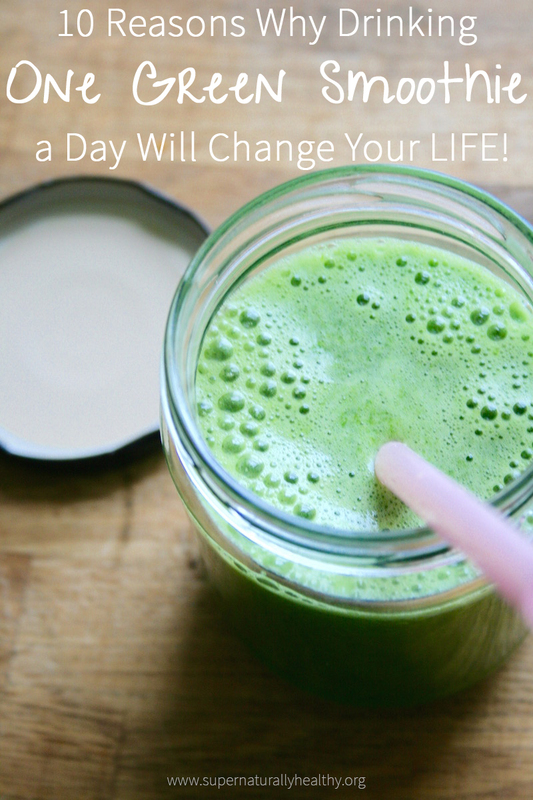 10 Reasons Why Drinking One Green Smoothie a Day Will Change Your LIFE! I am a bit obsessed with green smoothies. I drink one most days and can’t imagine not having them in my life – I even bought a mini hand blender with me on my recent 10-week world travel adventure because I am just THAT cool. But why? I mean why is this green, sometimes murky, pond water looking, sludge going to do you any good and how on earth can it transform your life? People always tell me that green smoothies help solve that whole afternoon slump and energy lull. Also it crowds out the crap (sugar, gluten dairy) which often makes us fatigued, sluggish and blah and replaces with natural goodness! If you are instantly hungry an hour after your porridge or afternoon hobnob then a green smoothie will solve that problem for you. All the recipes I create are FULL of protein and fats as wells as fibre from the spinach and fruit – this is a winning combination when it comes to hunger as it curbs any blood sugar spike and fat will sustain you longer than any oat will! 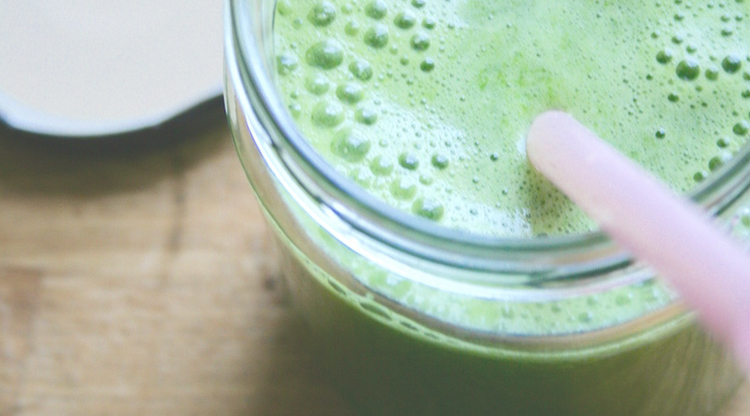 Green smoothies utilise the power of nutrition synergy – meaning you get a powerful blend of things like the calcium and iron from the raw spinach, the fats from the nuts, fibre and good carbohydrates from the fruit and hydration from it all! I imagine you don’t want to spend 1/2 hour making your breakfast or afternoon snack – I don’t. But with a smoothie you literally chuck everything in your blender, blend and drink. All in under 2 minutes flat and faff free – winner winner chicken dinner! Once you get over the luminous green factor you can actually just enjoy the taste, and boy, they can taste so decadent. No crazy powders, shakes or additives – it is all about natural whole food . Nothing weird, nothing fake, so don’t be fooled into think you need protein powders or green powders – all you need is some spinach and some fruit and some liquid. I am always surprised at how the whole family often enjoy my green smoothie challenges especially kiddies and even dogs have joined in and gotten their green smoothie groove on!?? 9.Keeps you, you know, regular…. To stay healthy we need to poop every day. If you struggling to do that then all this goodness will get you going for shizzle. Some health fads are only available to those with the cash to spend on them but not green smoothies! A bag of kale, some bananas, cocoa and peanut butter will cost you less than a £5 and make you a minimum of 5-6 smoothies. Sure you can pimp them up with fancy algae or bee pollen but you don’t have to to get the benefits. I was already used to green smoothies every day so I gave up sugar as part of my challenge and used the smoothie recipes to help me with that. I have been sleeping better from that and have a bit more energy. I got my husband doing just the smoothie challenge and he has lost a couple of kg. and wants to carry on with daily smoothies. Now of course, I run the 10 Day Green Smoothie Challenge with over 45 recipes, meal plan, support, coaching and other goodies so would love you to join our massive green smoothie slurping community (plus right now it’s HALF PRICE!) but you don’t need to reap the benefits. Just grab the free guide below and get started with a few recipes and try out how much better you could feel by adding one green smoothie to your day.